Our 'Early Years Foundation Stage' have been awarded The Bristol Standard again for 2019-2020. The validation group commended "the opportunities and learning experiences that children access within your school," and added that St Mary's staff, "demonstrate a strong insight in the children and families you have." 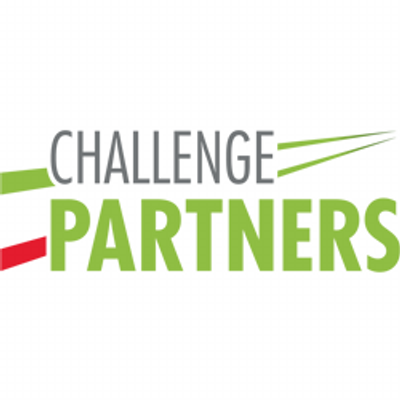 Our recent Challenge Partners Review (4th March 2019) also praised our Foundation Stage provision, saying there is, "...very effective teaching in the Reception classes. Staff have created lively and stimulating environments, inside and outside, related to all of the early years areas of learning. Adults have high expectations of children and interact with them well, encouraging them to speak clearly. Children collaborate well with each other, behave sensibly and are learning to be independent and to persevere with tasks." }I am very proud to be able to welcome you to our wonderful school. Our website should provide you with all the information you need, but we always welcome visits to the school if you need further information. As you enter our school, you will find us ‘Learning Together’ in faith, love and friendship; we pride ourselves on our strong family atmosphere. At St Mary’s, a highly motivated and dedicated team ensure that all children aspire to achieve their full potential, both academically and socially. Every child is valued for their uniqueness and our strong pastoral support enables them to develop the self-esteem and skills they will need to be successful in life; playing, learning and working together now and in the future. The support, challenge and determination to achieve exceptional outcomes for all within our school community is fostered by everyone. Adults, children and families are all supported to achieve and thrive. We aim to nurture children who are inclusive, tolerant and, most importantly, enthusiastic about life itself; they are set superb examples of this by the caring members of our school community. Following the inspection on 16th November 2017, we are pleased to report that Ofsted concluded that St Mary’s “continues to be good”. If you would like to read more, please visit our Inspections and Reviews page. "Relationships across the school are warm and productive and staff make very effective use of praise and rewards. Pupils say they feel safe and secure, and always have an adult to talk to and get help from. As a result, they are able to concentrate and most make good progress. They are engaged and exhibit positive attitudes towards learning. Pupils are happy, resilient and confident to talk to visitors." You can read read the full review here. We believe that every child should have equal opportunity and access to an excellent education. We know that disadvantaged learners can require greater support in order to achieve results that are in line with other children and young people. St Mary's follows the Disadvantaged Learner Charter. Read more on our Pupil Premium page. At St Mary's CE Primary School we are committed to safeguarding and have a culture of vigilance in all aspects of safeguarding and child protection. Please see our Safeguarding page for more information about the school's policies and procedures (here). We pride ourselves that every member of the St Mary's team considers each child's broader well-being as being of paramount importance. Therefore, we create opportunities and take the time to get to know the children in our care well and, when necessary, aim to support them and their families in addressing any issues in their emotional well-being and mental health. You can find out more here. Week 15 has been my favourite week of all, as it was the week for our sponsored school mini-marathons for CLIC Sargent. The younger children ran mini-half marathons (1.3 miles) and the older ones ran mini-marathons (2.6 miles). All 370 of them, from the 5-year-olds to the 11-year-olds, were brilliant and the atmosphere really was like race day - right down to the balloon-arch finish line! We’ve used the London Marathon over the spring for regular assemblies, exploring humility, courage and challenge: from learning about Mo Farah’s extraordinary life-story to watching the incredible camaraderie of American Richard Beardsley and Norwegian Inge Simonsen (who, rather than continuing to race each other for first place at the inaugural London Marathon in 1981, took each other’s hands in the final straight in a symbol of unity and mutual respect). And last Friday, Caroline from CLIC came in to talk to the children about the work that they do to support children with cancer - and to explain why the children’s mini-marathon fundraising was so wonderful and important. It's very exciting to finally be in the marathon month of April - although, I have to say, I'm a bit nervous now we're getting close to The London Marathon on the 28th! However, the brilliant effort by the children this week, and the wonderful fund-raising that our generous parents and carers have undertaken, will definitely spur me on when I'm standing on the start line! So, why is Mr Payne running The London Marathon? "I am running the London Marathon on Sunday April 28th to raise money for CLIC Sargent who support children who have cancer. I am looking forward to involving St Mary's children, staff and parents in the fundraising this spring!" Well done to everyone who knew a half marathon is 13.1 miles. Where does the London Marathon finish? Year 1 have had some extra green fingers in to help get our gardens growing. St Mary’s Key Stage Two team won GOLD at the Cluster Gymnastics on Friday. Year 4 welcomed parents and grandparents into our classrooms on Thursday. We enjoyed making papyrus paper together and creating our own cartouche designs using salt dough. We warmly welcome visits to our school. We are a totally inclusive school and welcome all children. Please telephone our school office on 01793 770239 and speak to Mrs Lawrence who will be happy to make an appointment for you to look around or email admin@st-marys-purton.wilts.sch.uk to arrange a visit. Applications to our school are managed by Wiltshire Council, please click on the link to access Wiltshire Council School Admissions. Please do not hesitate to contact us directly if you have any admission related query.